Dropbox has multiple office spaces around the globe. The Sydney office is a dynamic sales office that is growing their business in APAC. 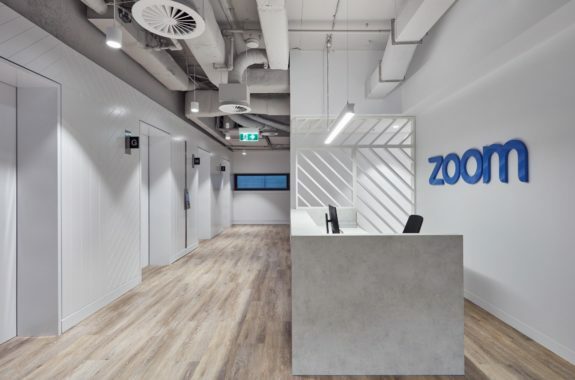 As a young, fast-growing company, Dropbox were determined to develop and create best-in-class offices and only partner with professionals who have a proven track record of delivering the highest value possible. Facilitate has a longstanding relationship with Dropbox. 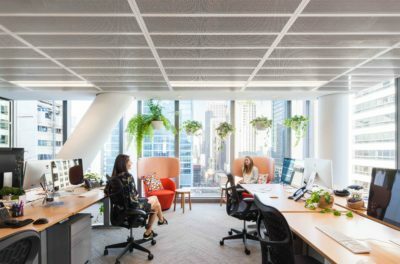 Initially engaged as the project manager for the fitout of their temporary accommodation at 345 George Street, before they embarked upon the major relocation project to 5 Martin Place. 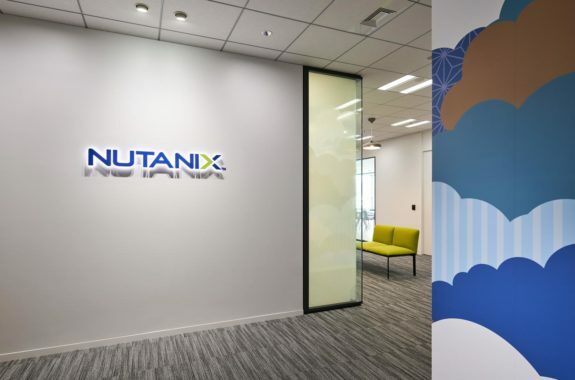 On behalf of the client, Facilitate appointed the project architect and worked closely with Dropbox’s internal teams in the development and execution of the project. Dropbox had formed a team of 10 internal stakeholders that represented the various departments within the company, including IT, Security, Food and Design. The design was based on the guiding principles of making a house a home: Dropbox is not just a product, it is a place to organize our lives from work, play and everything in between. 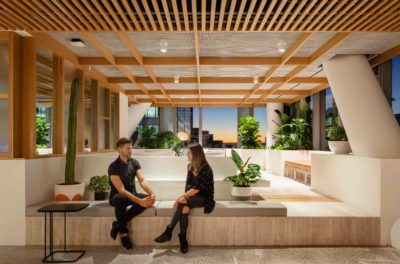 The Dropbox Sydney office is a family home built on a foundation of values and beliefs. It is fit for purpose in every way – with each environment designed to its core objectives – and it is the people, culture and experiences, and their evolution over time, that makes it a home. 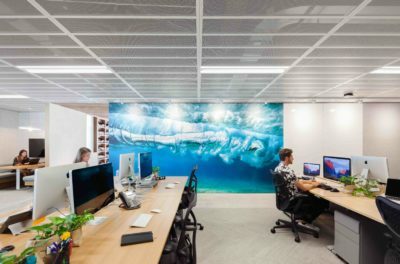 The Sydney office is high profile and critical to Dropbox’s business success. Their offices do not merely accommodate headcount, but inspire creativity, collaboration and camaraderie among the ever-growing Dropbox family. Despite our self-admitted ability to make numerous changes, Facilitate absorbed each correction in scope with professional aplomb, and still managed to make appropriate adjustments, so as to maintain our designated schedule and budget. 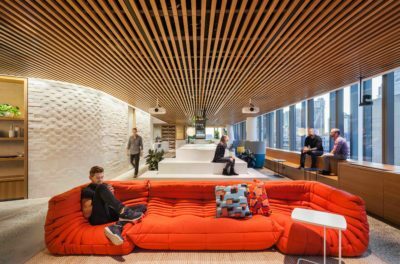 I wished to express my deep appreciation for the delivery of an exemplary office project for Dropbox’s AsiaPac headquarters office in 5 Martin Place, Sydney. You and your team delivered the highest level of service, from providing advisory consulting during our real estate search process, to conducting the RFP/interviews for architectural & general contracting services, to managing the design and construction administration of the office fit out. Despite our self-admitted ability to being a challenging client that makes numerous changes, Facilitate absorbed each course correction in scope with professional aplomb, and still managed to make appropriate adjustments, so as to maintain our designated schedule and budget. The ability to deliver a successful project under these circumstances cannot be underscored enough. The final analysis, however, will always be left in the hands of the EndUser and their universal praise of the office design and practical operational functionality, speak volumes to Facilitate and the team of professionals that was assembled for this project.